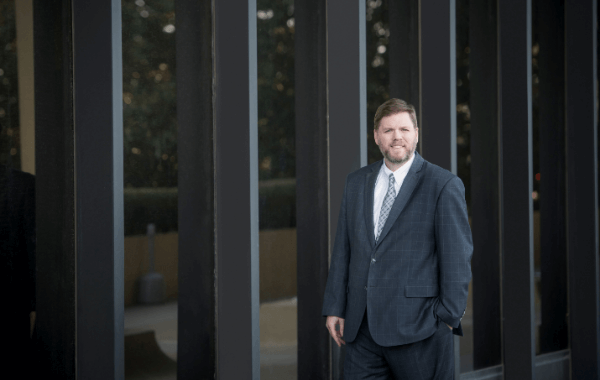 Huntsville Bankruptcy Lawyer Jeffrey Irby | Jeffrey B. Irby, P.C. As an Alabama native, if there's one thing I learned while growing up in Madison County, it was the value of helping others in need. From an early age, I wanted to find a way to use my strengths to help improve the community around me. Since earning my JD, I have enjoyed working with members of my community and pride myself on being a leader who can be counted on. For instance, I have dedicated my time to serve on the board of directors for LIFT Housing and Family Services of North Alabama. Outside of my legal and community services, I strive to continuously be active and push for excellence. To this day, I have completed two Ironmen 140.6 events (IM Florida in 2013 and IM Arizona in 2012). On a more regular basis, I truly enjoy getting out to enjoy the beautiful hiking, mountain biking, and camping our state has to offer. While studying for my undergraduate degree, I learned the value of hard work as I juggled three different jobs while also maintaining a full course schedule at school. I worked as the resident manager of an apartment complex, building manager of the student union center, and a social worker at Brewer-Porch Children's Center. While the three jobs helped support me financially and provide a roof over my head, they also helped teach me the value of good time management and honest, hard work. Despite the challenge of working and studying, I was able to juggle all three jobs while maintaining a strong 3.5-grade point average. When it came time to graduate in 1995, I was excited to enter law school and take my first steps toward becoming a lawyer. I was accepted into the University of Oklahoma College of Law in Norman, Oklahoma, and before classes even began, I was selected to clerk for Congressman Robert "Bud" Cramer in Washington D.C. during the summer of 1995. I had the opportunity to learn a lot during that summer and returned to Norman in the fall with an unbridled passion and excitement to study law. In 1998, during my third year of law school, I was fortunate enough to return to my home state and study at the University of Alabama School of Law, receiving my Juris Doctor that same year. It’s a privilege to help the people of my community through their financial hardships. Whatever struggles they may be facing, I’m happy to provide help and support in any way that I can. After graduation, I worked hard to pass the Alabama state bar in 1999, licensing me to officially practice law in my home state. Rather than jumping on board with a large firm, I knew that I wanted to start my own firm so that I could have complete control over the cases that I took, and manage my clients the way I felt they should be managed. I decided to focus on bankruptcy law and tax resolution because I knew first hand how difficult financial struggles can be. As someone who had to work three jobs just to put myself through college, I was no stranger to financial strife. I knew that there were thousands of people just like me out there, struggling with debt and tax issues despite working hard for everything they had. These are the people that I wanted to help. So in 1999, I opened the doors to my very own firm, Jeffrey B. Irby, P.C. Now, almost 20 years later, I'm proud to continue to offer my services to the residents of Huntsville and the surrounding northern Alabama area. With two decades of experience helping countless clients with issues of bankruptcy and tax resolution, I've been fortunate to have the opportunity to use my knowledge and expertise to help people through some really difficult times. No matter what issues they may be facing, I do my best to stand with my clients by helping them understand what they're up against, and informing them about all of the options they have available. I offer free case consultations to anyone who walks into my office, and I'm happy to do anything I can to help find a solution that works for your unique situation. As I tell all of my clients — financial struggles can be scary, but you don't have to face them alone. Call my office today and find out how I've helped countless others through their financial struggles.